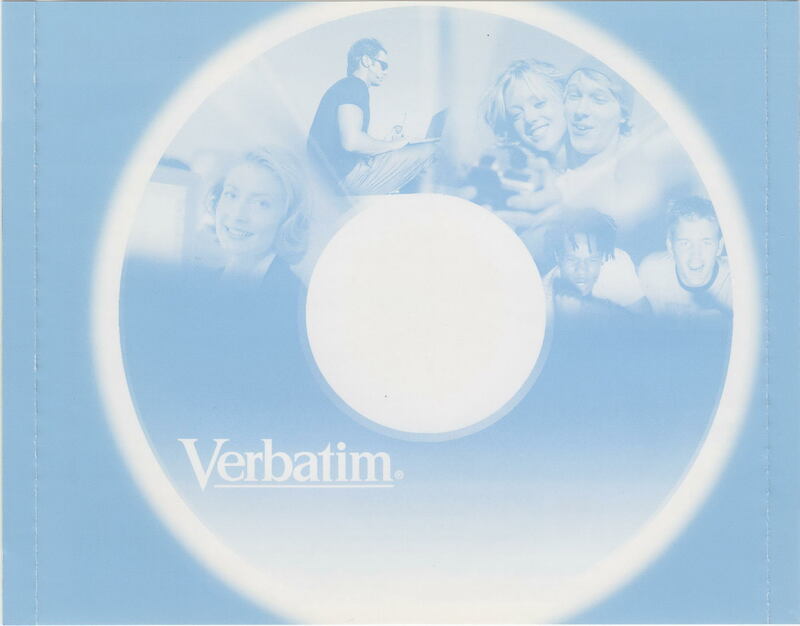 Verbatim media has always had a good reputation, and this persisted into the DVD-era. Their media was always amongst one of the most highly recommended media for archival, possibly second to that of Taiyo Yuden discs. 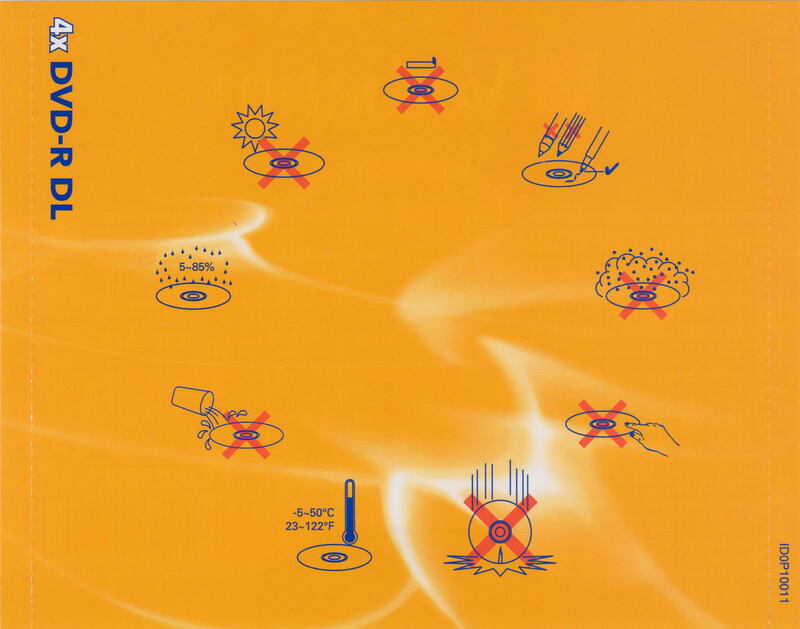 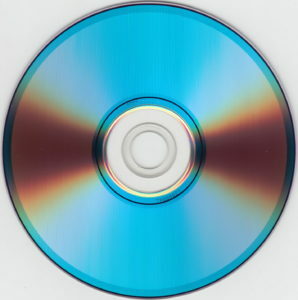 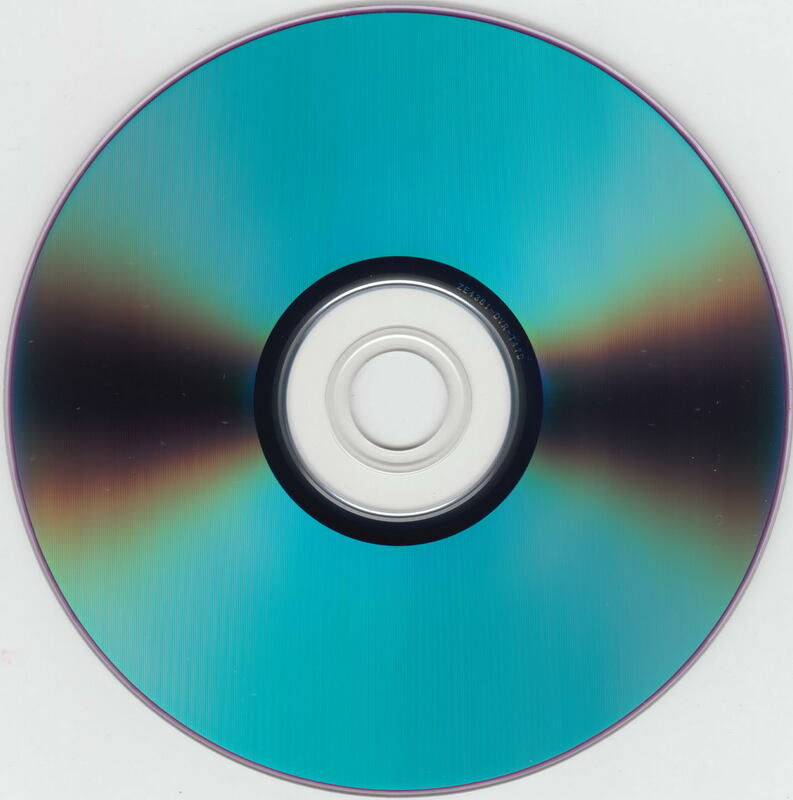 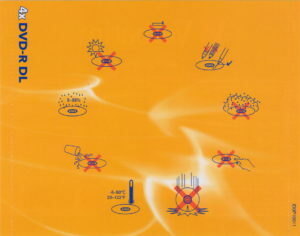 One of the early DVD-recordable samples, this one shows the cut-away of the disc structure. The MID is MCC 00RG200. 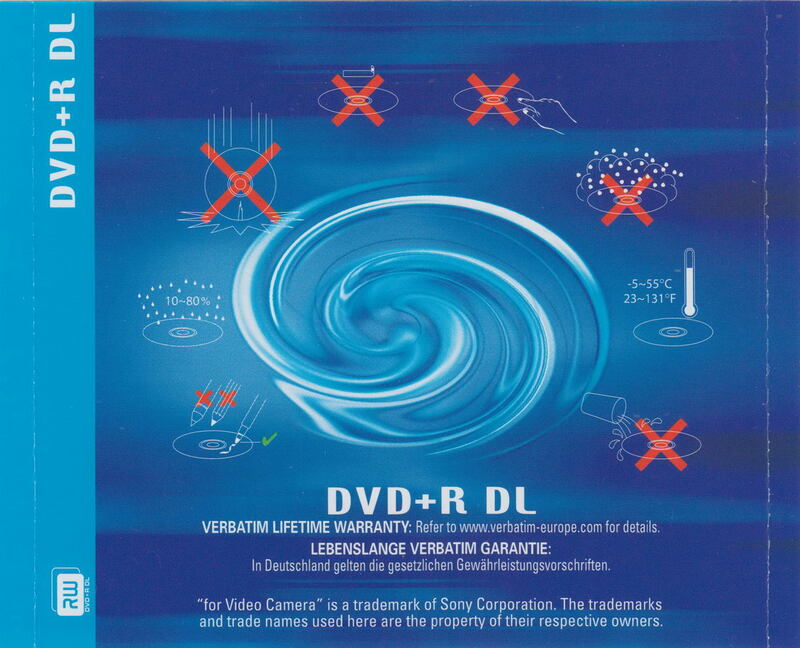 I only have the package art for the 4x DVD-R, however, we can see the front has a notice about ensuring your recorder supports the media, and advertises a “super AZO” layer. 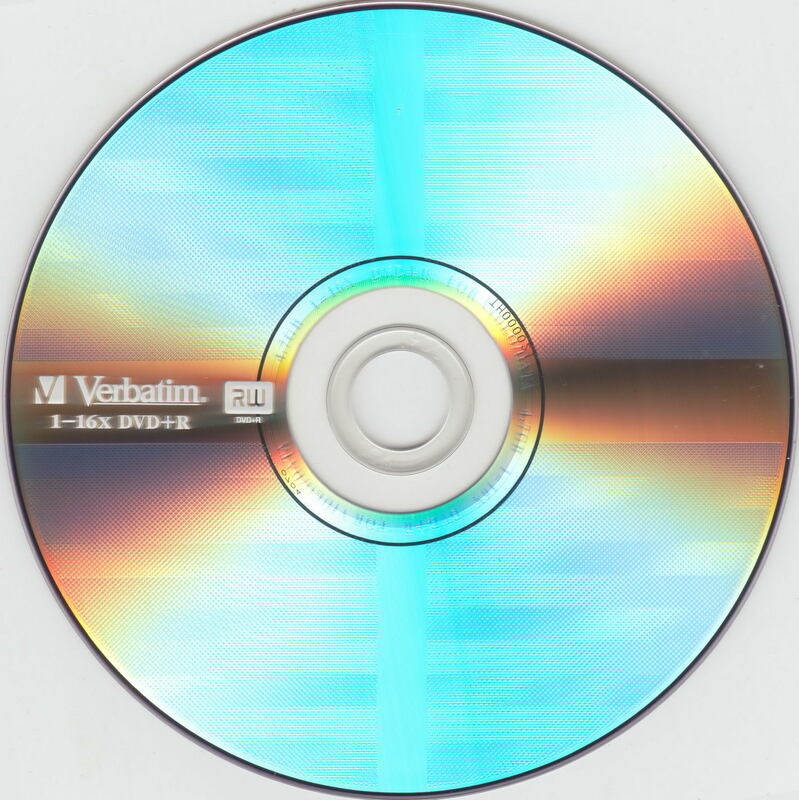 I only have the rear inlay for the 8x version, but we can see that there’s only a very subtle change to the figures under the DVD logo. 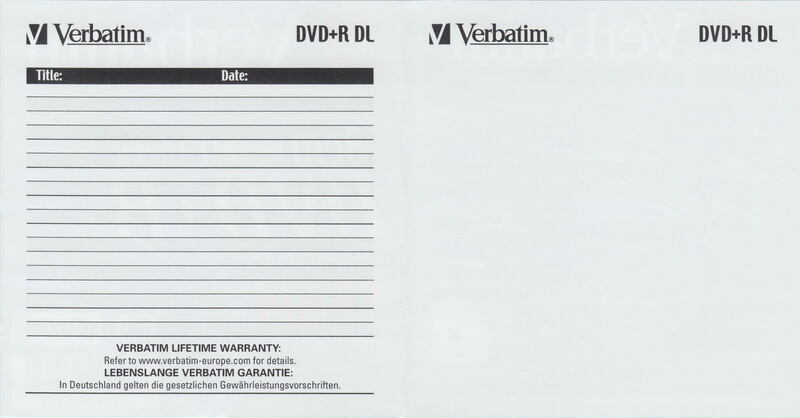 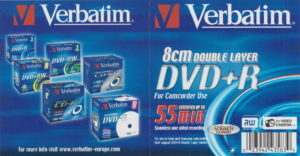 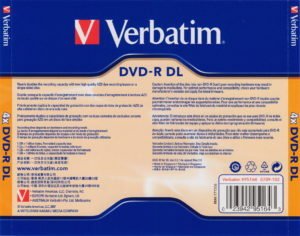 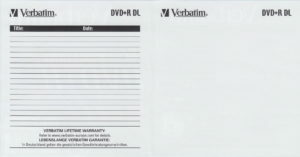 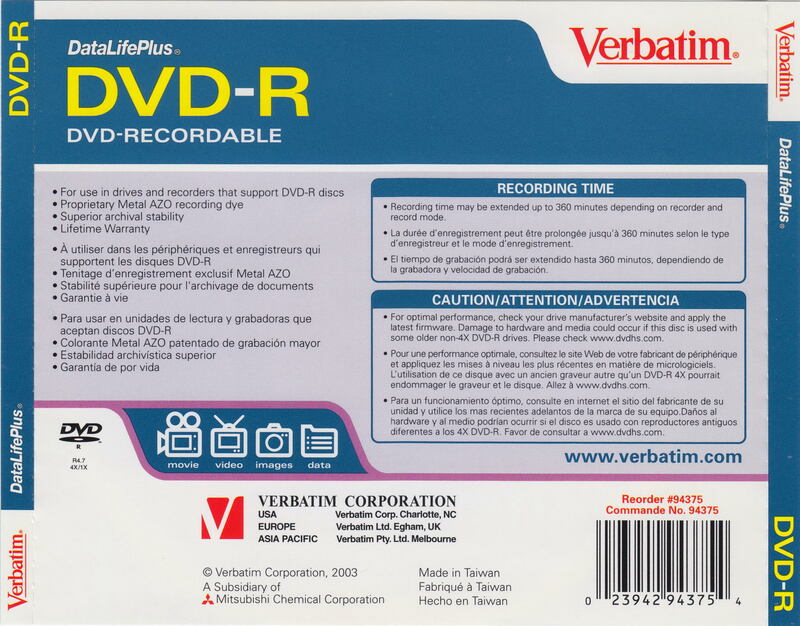 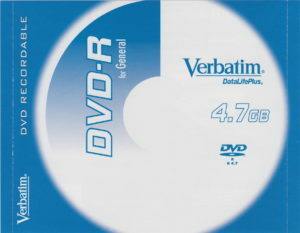 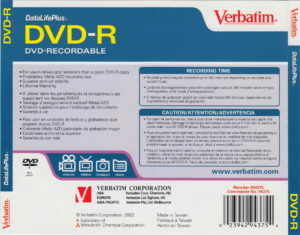 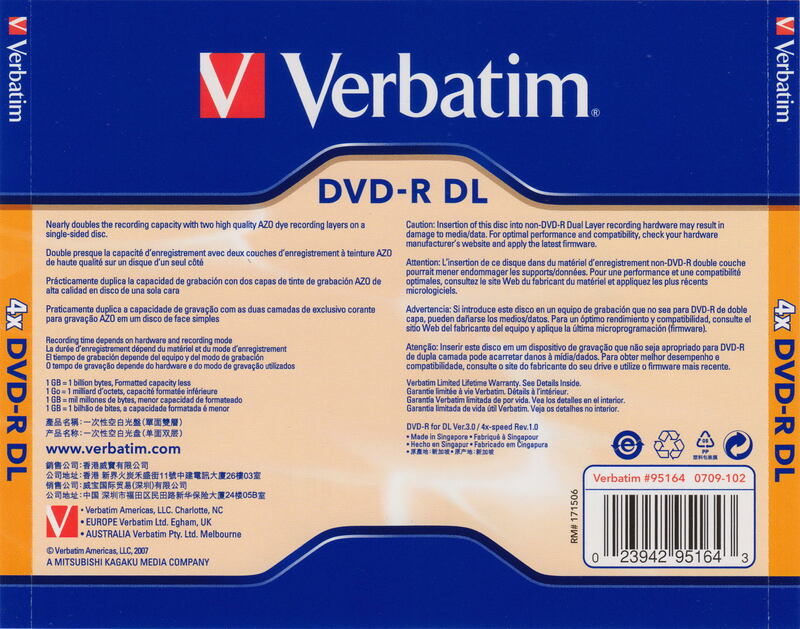 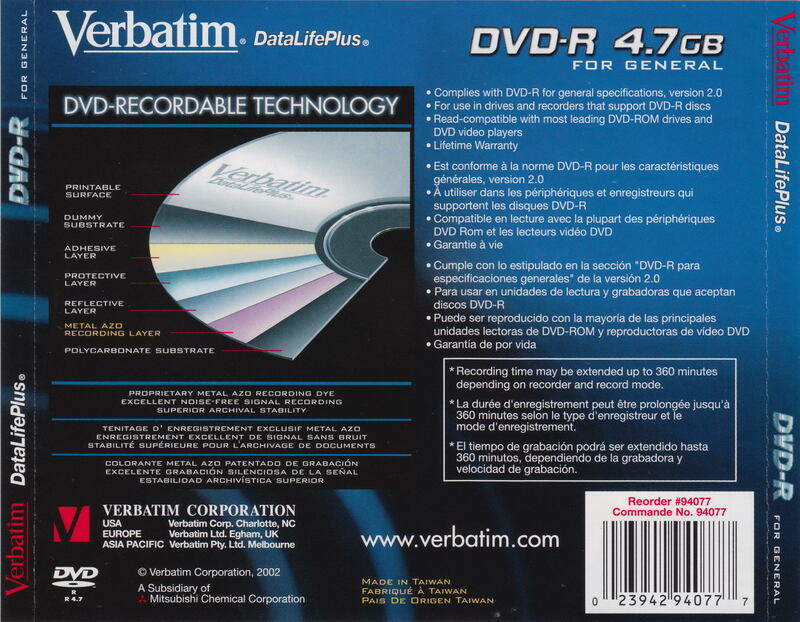 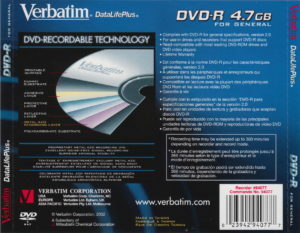 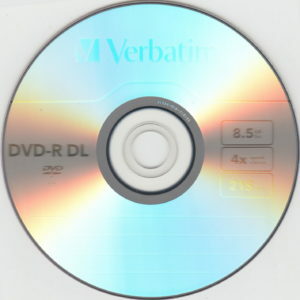 Dual layer recordable DVDs primarily come in the plus format, as the minus format came later and had lower compatibility in general owing to the lack of possibility to do bitsetting. 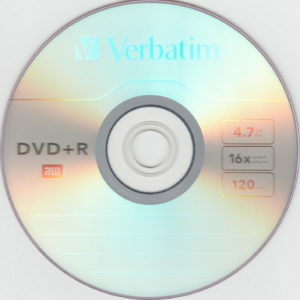 Regardless, the media had been produced, and I managed to get a sample. 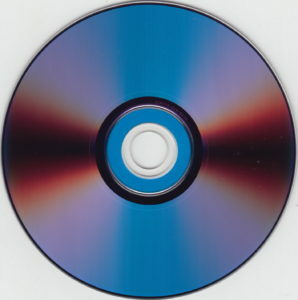 The MID is MKM 01RD30. 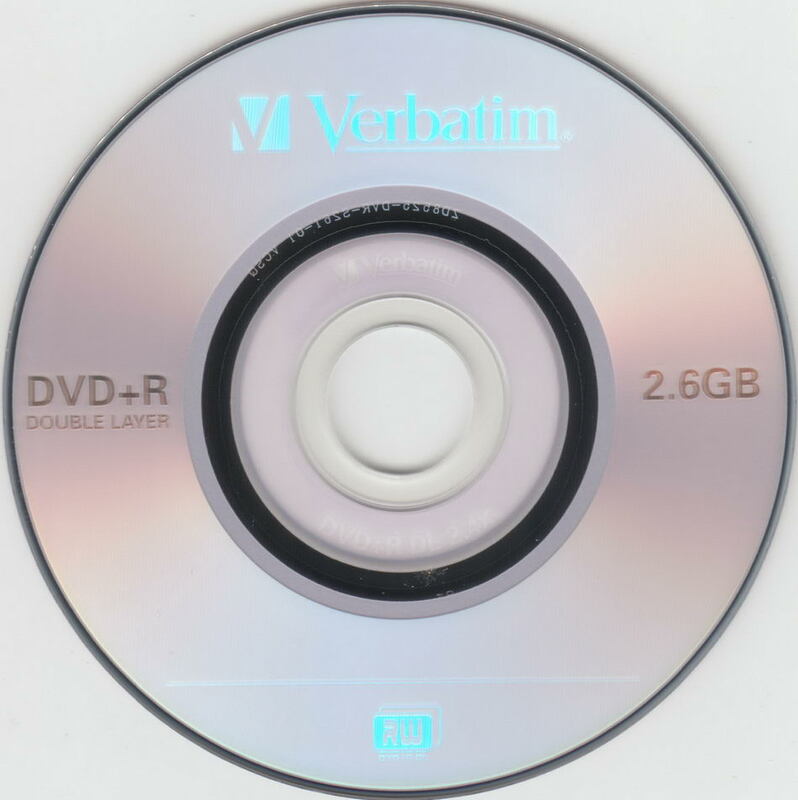 This was purchased in a large spindle of 50 when I was in Hong Kong back in the early 2000’s, and features a very different design to most Verbatim discs. 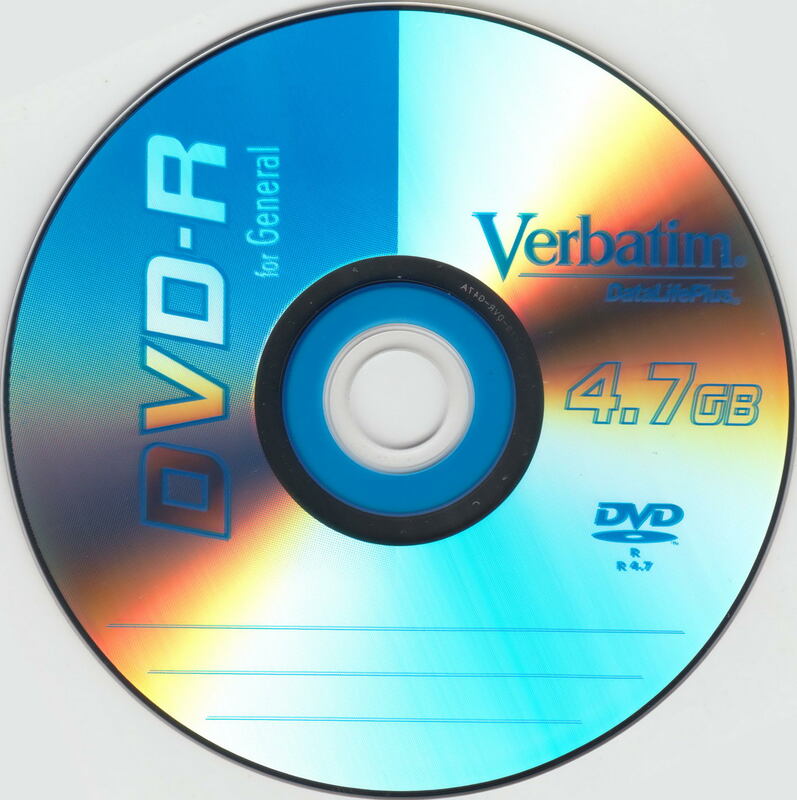 This one is clearly a Taiyo Yuden product, featuring their particular hub format. The MID is YUDEN000-T03-00. 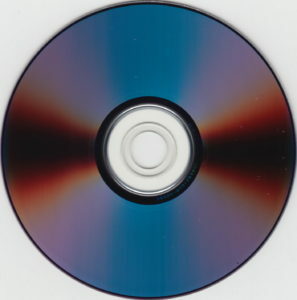 This came in a medium size spindle of 25 discs. 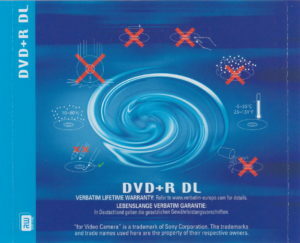 The design is contemporary with other media from the same era. 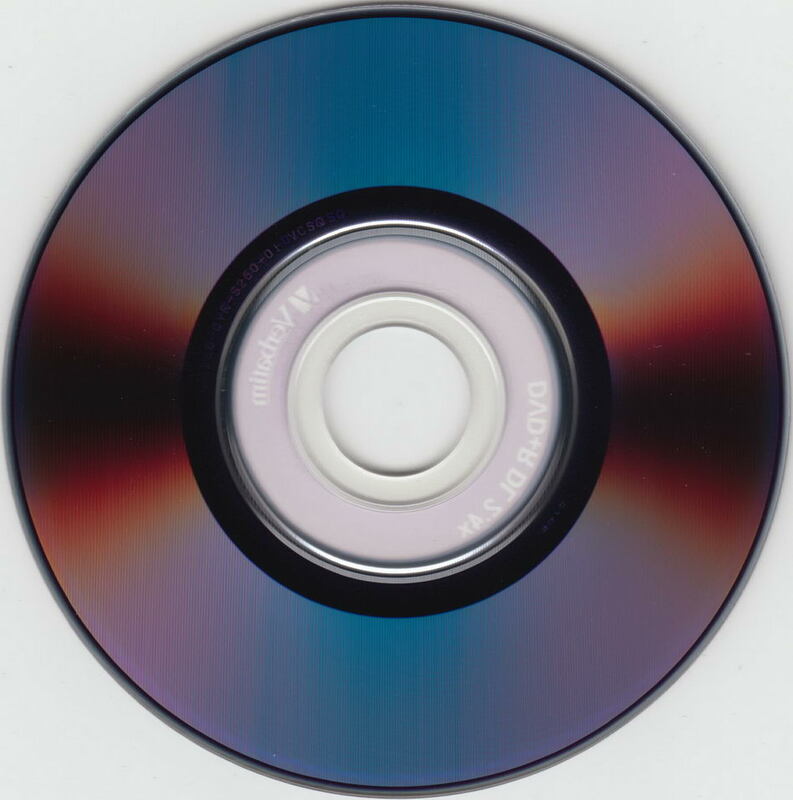 The MID is MCC-004-00. Intended for DVD camcorder use, this disc is a dual layer 8cm DVD+R. 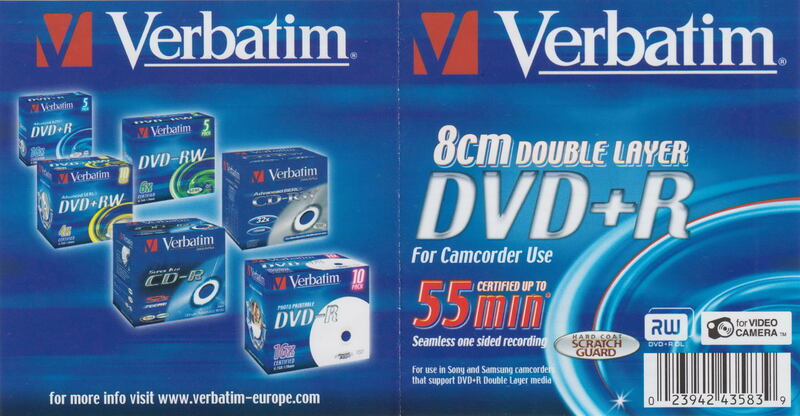 Support for DL media was limited to certain models of camcorder, but for those which do support it, this allowed longer seamless recording times without sacrificing quality. This also features a hard coating marketed as Hard Coat Scratch Guard and AZO dye. The MID is MKM-001-01.